Spitting Pig Northern Ireland is a professional pig roasting company who cater for a variety of get togethers which range from house parties, county shows to wedding bash’s, birthday celebrations and company happenings. 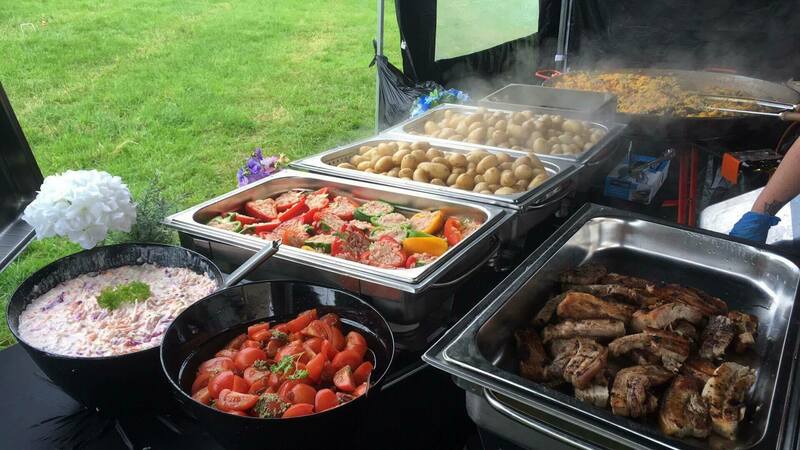 We cater for events of all sizes throughout Northern Ireland; we offer a top of the range service and are able to come directly to you with our portable hog roast machines and specialist caterers. We also have machines to buy and to rent at very reasonable prices. We can transform any event into an extraordinary occasion. 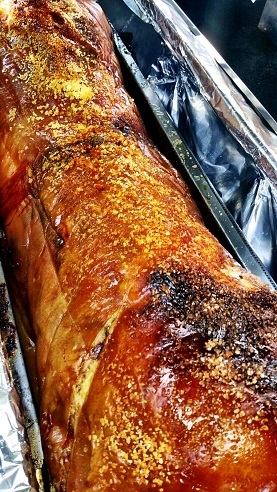 Our pig roasts make succulent mouth-watering meals which are sure to get your taste buds rolling and craving more. Let’s face it, locals and tourists alike are hardly at a loss for options when it comes to things to do, events to attend and places to eat in the Belfast and Derry areas. With Belfast booming and Londonderry poised to be become the UK’s first capital of culture things are really taking off in this neck of the woods and, as the fresh talent spills out of the Nerve Centre and Oh Yeah, there is always something interesting and exciting waiting to grab people’s attention. So if you’re organising an event, party or wedding, how can you narrow down the choices, take on that wide field of options and find the choice of catering that’s right for you and for your event, whether it is in Belfast, or any of the following locations Londonderry, Derry, Newtownabbey, Armagh, Omagh, Lisburn, Newry, Portadown, Antrim. Firstly you will want your event to stand out from the crowd. With such competition for attention, in an area positively bursting with fresh events and creativity, you’ll need to go the extra distance to be noticed and remembered. Too many events are catered for by an anonymous blur of burger vans or cold cut and salad buffets or well meaning plates of sandwiches. OK, so nobody’s going to pass out from hunger but where’s the interest, where’s the excitement? If you’re organising an event, taking such care about what entertainments you organise, musicians you book, who you invite, the look and the feel of the venue, why stop trying to inspire your guests’ imaginations when it comes to the food? That’s where The Spitting Pig Company in Northern Ireland come in. Our slow roast machines will present your guests with a whole pig roast (or turkey or venison, whichever cut of meat best suits you) spit roasted and slow turned over the warm glow of a carefully controlled fire, perfectly designed to cook your chosen meat to an evenly turned, succulent and crispy perfection. The cooking of your guests’ food will become a talking point in itself as all of your guests’ senses are assailed at once, from the sight of the skin browning to a perfect crackling, to the heady scent of slow cooked meat wafting in every direction, to the hiss of the fat cooking off the flesh to leave your guests with nothing but the most tender, most moist and crisp cuts of meat to choose from, good enough to rival the finest dining to be had on the Golden Mile. There is a real olde worlde charm and sense of togetherness to be felt from collectively watching your meal being turned and cooked to perfection before your eyes, as your fellow guests rub their hands and lick their lips in anticipation of getting stuck in. 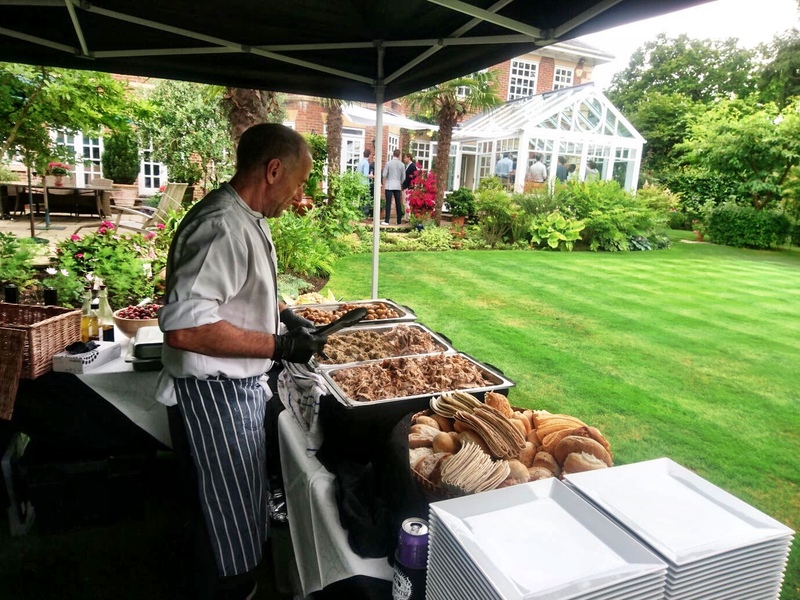 The Spitting Pig team can provide your event with an even more memorable experience than a simple pig sandwich buffet (although you certainly wouldn’t be disappointed with just that!) as we also offer side dishes, alternative cuts of meat with their own unique dressings, from horseradish sauce to sage and onion stuffing, and desserts, either as part of a several course sit down meal or as part of our buffet service. All you need to do is choose the package that suits your needs, and your budget, and you can trust The Spitting Pig to do the hard work while your guests have the great and memorable time they came for. 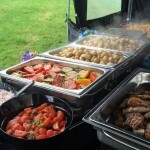 As a hog roast caterer we can cater for outdoor and indoor events throughout the year and a wide selection of satisfying menus to tempt anyone’s taste buds. Picture a sizzling slow roasted pig roast served with seasoning and sauce as part of a healthy diet, smell the powerful aromas and taste the soft, juicy meat which is simply irresistible. We can cater to your individual needs, budget and schedule. 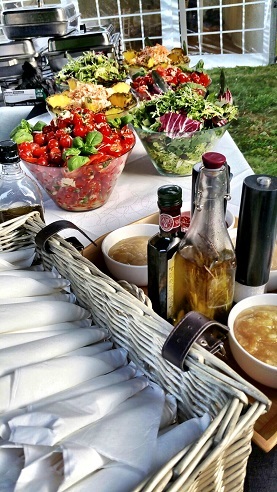 If you wish to discuss your personal catering requirements please contact us today to see how we can help you turn an event into an event you will never forget.